Southport is home to CRUISERS’ NET SPONSOR, Southport Marina, located just west of the Cape Fear River along the northern banks of the Waterway hard by flashing daybeacon #2A. See Comments Requested for Feb 28th deadline to comment. To all of you that have already emailed or mailed in your letters of support to the Army Corps for the establishment of the Southport No-Wake Zone, THANK YOU! The outpouring of support for this has been incredible to see! If you have not yet sent in your letter of support, the Army Corps of Engineers will be accepting public input for another week, until 2/28/2018. Even a short email of support to the ACOE at aiwwcomments@usace.army.mil will be meaningful and we urge you to please consider writing one if you have not yet done so. Thank you again! 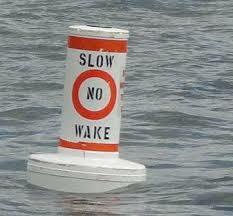 Please take time to read about the efforts to establish a NO WAKE ZONE in Southport! If you have been affected by boat wakes in Southport, NC please let the US Army Corps of Engineers know! will tell you about recent efforts and how you can help! Thank you for helping!! !